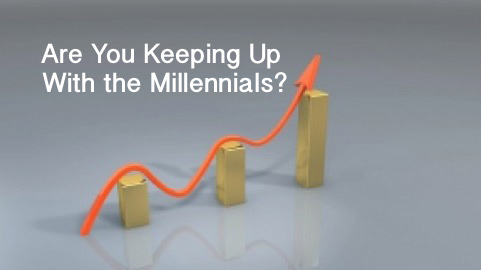 Institute OD > Organization Development > Are You Keeping Up With the Millennials? Are You Keeping Up With the Millennials? Millennials will comprise 50% of the workforce in the next 2 years. Is your organization ready to support their needs and issues in the workplace? As we vie for the best talent, organizations are realizing that old processes, programs and practices need to change. The Institute of Organization Development is ready to help you reinvent Performance Management. Come join us for an exciting and enlightening 3 hour on-line program. We will focus on sharing Best Practices and tools that will allow you to best manage your talent and implement a winning Performance Management System. Our “Reinventing Performance Management” program will provide a conceptual and practical framework so you can successfully create and implement a performance program that will attract, develop, and retain key talent while enabling the organization achieve its strategic goals. HR professionals and talent management leaders will find the program helpful as they continue to build partnerships with their business managers and implement key performance initiatives. Come innovate and collaborate with us. Our next program is offered on March 29. We will help you energize and promote employee engagement. Grow with our Best in Class faculty and network with other professionals to gain new insights. Together, we can meet the challenges of the changing workforce and make a difference in your organization.